A dialogue is in process. You will find it in the Alzheimer’s Reading Room and at DASNI. It is well worth following and continuing this dialogue. It arises directly out of testimony before Congress about the National Alzheimer’s Project Act (NAPA). The federal government is conducting hearings in an effort to create a comprehensive strategy to deal with the catastrophic effects soon to occur with Alzheimer’s Disease (AD). They have asked for testimony on what should be done. In turn the Alzheimer’s Association has made a Call to Action of all affected by (AD) to give them input to present at the hearing before Congress. The Alzheimer’s Association will submit all comments received to the U.S. Department of Health and Human Services so that they know what you want to see in a National Alzheimer’s Plan. Your insights, opinions and suggestions matter. If you take a moment to provide input, the Alzheimer’s Association commits to making your voice heard. Please share the greatest challenge, frustration or concern you have about Alzheimer’s that you want the National Alzheimer’s Plan to address. Go here to have your voice heard. Bob DeMarco posted a comment in the Alzheimer’s Reading Room (ARR) that is worth the reading: Global Strategies to Combat the Devastating Health and Economic Impacts of Alzheimer's Disease. There are many comments posted. Similar comments are appearing on DASNI. They come from concern about the impending calamity that AD is soon to be. With the exponential growth in numbers of people with AD all of them needing help we are looking at a National Emergency. The facts and figures are there evidencing the tragedy that will outstrip us personally and publicly of our economic worth. The National Alzheimer’s Project Act (Public Law 111-375) requires creation of a national strategic plan to address the rapidly escalating Alzheimer’s disease crisis and will coordinate Alzheimer’s disease efforts across the federal government. Many issues are the subject of this dialogue. The issue receiving the most concern is where to concentrate effort and money in the fight against AD. There is no treatment or therapy available today to prevent, modify, stop, or reverse Alzheimer's disease; and because of this dynamic, no one survives Alzheimer's disease. There is no remission. There is no cure. There is no “living with Alzheimer’s”, there is only “dying with Alzheimer’s”. In the end, Alzheimer's is 100 percent effective in killing its victims --George Vradenburg, Co-Founder and Chairman USAgainstAlzheimer's. This characterization has come from many in the professional field including Harry Johns President and CEO of the Alzheimer's Association. When it comes to treating folks affected by Alzheimer’s Disease those of us in the medical profession can work with the Caretaker, but for the person with AD there is nothing we can do until they need to be put in the Nursing Home, then the only thing we can do is make them comfortable. As a result of this almost universal view of AD as a disease, as the folks who have it, we are all grouped into the stereotype classification of that guy standing in the corner unable to find his way around the two walls of the corner that are blocking him in. This is not so! It is a sad commentary on the arrogant “we know better” too often part of being a professional. Eat Right, Exercise Daily, Become Involved in Stimulating Intellectual, Social and Creative Activity, Take your Medication. Our purpose in doing so is to survive in the early stage of AD where there is a quality of life that we lose when we turn incompetent. It works for a lot of us and is part of the dialogue in progress. Bob DeMarco of the Alzheimer's Reading Room posted an article entitled: "More There", the Survivors, and Quality of Life. Click on the title to read it in the Reading Room. Another article appeared on the Caring.com web site entitled: 5 Signs of Alzheimer's That Sometimes Show up Before Memory Loss -- Forgetfulness isn't always the first sign of dementia. Click on it to get it. Memory loss is the symptom everybody worried about Alzheimer's disease or other forms of dementia seems to focus on. After all, it's distressing -- and increasingly obvious. Yet there are other common symptoms of Alzheimer's or dementia that can turn up even earlier, researchers say. Sometimes, according to memory experts, even doctors miss early dementia signs because they're focused on memory loss to the exclusion of other symptoms. The knowledge about AD is growing. The knowledge contradicts the view the professional Health Care, Medical Care and Support Services have of AD. The professional community is unfortunately, for too many reasons that space does not allow me to list, stuck in the old formulas and concepts of what AD was thought to be and how it should be handled. One of the major positions in which Public Support Groups are concentrating almost exclusively is in the effort to raise money to find the cure. It is hard to say anything derogatory about this. Wouldn’t it be wonderful if a cure was found? Practically speaking the chance of this occurring is not at all favorable. AD is a misnomer for a blanket description of many forms of dementia. There is more dementia included under the umbrella of AD then dementias excluded. In this way AD is an over-used name applied erroneously to a whole variety of differing symptom groups. Almost every individual with AD has a type and kind different than that of anyone else. There are probably as many different types of AD as there are people with it. The two articles cited above, the one about “surviving”, the other about “more there than memory loss”, should direct the treating and supporting community to recognize that AD is more than the stereotype they make of it. It is all dementia in many similar but different symptom collages. More so it is a condition deserving attention and deserving treatment in order to assure the person having it remains in the early stages as long as possible. People affected by AD and other dementia deserve better than they are getting. There is no treatment, no effort to help them have quality in living, they are shunned and when ready for institutionalization they are shucked to the nursing home to be warehoused there. The only good we with AD seem to be doing is provide statistics on how awful our disease is and how everyone should give more money to find a cure. Treatment in the early stages is effective in keeping folks right there in early stage. Remaining there they have quality of life together with the functional ability to live outside “The Home” and live quite well. Compassionately it would seem we are entitled to more concern, care and help to keep us in the Early Stage. We do not get it. The other benefit derived by helping us to stay in the early stages is keeping us out of the Nursing Home. This saves the expenditure of the large sums for care. With the number who will have AD growing phenomenally this will create a national financial emergency. We cannot afford this. Next attention must be given the style of Nursing Homes provided for care. We can no longer pay the confiscatory costs that are charged for nursing home care. We have to find alternative models to give the needed care. We are facing a nagging paradox with AD. It is a disease rushing to catastrophic proportions. The Cost of Care will break us financially. It will do so on a personal level, on a community level and worst of all on a country level. Middle income folks pay their own fare until they run out of money. Lower income folks have it paid by Medicaid, funded by the Federal Government. Most people in the middle will pay what they have quickly. They then will need Medicaid. Considering costs run $80,000 – 100,000 a year this happens quickly. To add to the rudeness of it all the duty to pay falls on each spouse equally, the one in need of care and the partner at home. This leaves the partner at home nothing to live on. Once all but the very rich are having their fare paid by the government, looking at the population swell of people with AD, the government will run out of money. We live in a culture ruled by special interests that have cornered so much of the capital inflow of our society. They have done this politically and by unregulated monopolization. They secure their positions additionally under the guise of protecting us from economic destitution unless we comply. Another is absolute patent protection for new drugs, without which the drug companies say they would have no cause to research and find effective drugs without the financial return from patent protection. Another is the Big Box Nursing Home Chains, an investment product of Wall Street. The high fees you must pay are required by the onerous regulation they claim comes out of Washington. Like the beat, the list goes on. Does the Alzheimer’s Association exist for the people to whom it gives paychecks? Does it exist to support the research agenda of the NIH? Does it exist for the benefit of the Pharmaceutical Industry? Of one thing I am sure: Those of us affected by AD fit into the count only for the purpose of fertilizing the agenda of the Association. We are the merde, namely, the excrement that gives bang to their cause! Mike Donohue is a Husband, Father, Grandfather and good friend to some wonderful people. He likes to read, to write and to try and figure it all out. His life has had its ups and downs. It has given him insight into where he has been, why he was there, and where it is leading to. 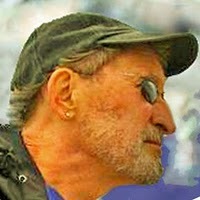 The most profound events in my life were recovery from Alcoholism in 1974 and diagnosis of Alzheimer's disease in 2006. The first was my Watershed, the second my Epiphany. Mike writes at My Alzheimer's Afterthoughts!